My mother was my best friend and closest confidante. Nothing could have ever prepared me for the pain and grief such a loss brings. I have labored to numb the pain and I am hardly sure that it will ever go away. However I will try my best to celebrate and remember Mom’s legacy as a parent who kept us as together as a single family unit, taught us entrepreneurship, independence, discipline, the value of a good education and humility. I wish to thank all those who identified with us in our hour of need when our beloved Mom found her rest on 9th September at Mulago Hospital. 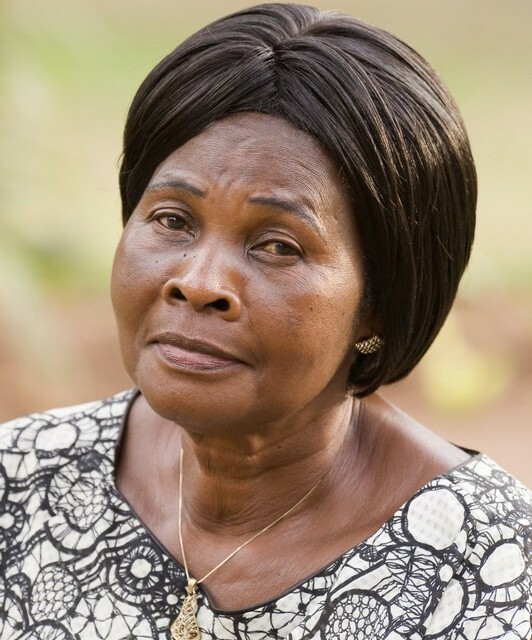 The late Aida Namukwaya Mayanja (71) was a mother, a senga(aunt), a jajja(grandmother) and a friend to many. She had battled cancer of the esophagus for over a year and toward the end was only able to ingest foods by intravenous means. Although the disease was first diagnosed as stage two cancer — Mom fought the good fight and remained positive to the very end of her earthly life. For my part I was blessed with rare opportunity to be by her side when she breathed her last at 2:15pm on September 9th 2014. The cancer by then had spread to her lungs, leading to respiratory failure. Moms fervent prayer was for God to restore her the way he did King Hezekiah when Prophet Isaiah brought him a good report that the lord had added 15 years to his life (Isaiah 38). And the word of the LORD came to Isaiah, saying, “Go and tell Hezekiah, ‘Thus says the LORD, the God of David your father: “I have heard your prayer, I have seen your tears; surely I will add to your days fifteen years.”’” In Mom’s case this was not to be as God had a different plan and purpose for Mom’s life. We thank Dr. Mwambu at the Mulago Heart Institute for doing whatever he could for Mom. Dr. Galukande and the team at International Hospital Kampala (IHK) also did a lot during Mom’s first operation. Later we went to Nairobi Hospital and it was Dr. Prof. Oguttu who led the team to reopen mom’s esophagus and insert a stent. 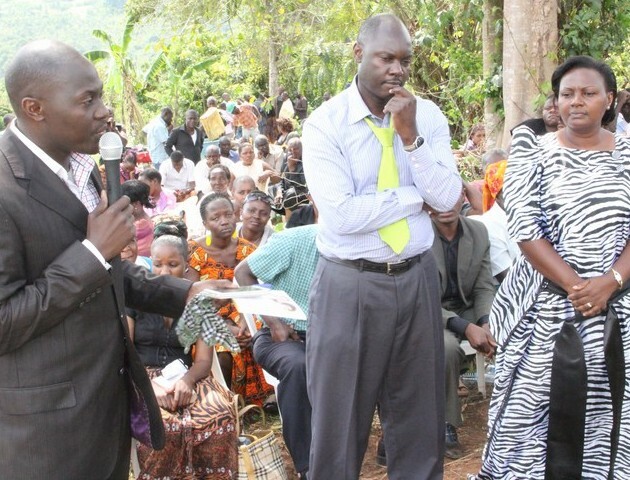 In Uganda we have to thank Hospice Uganda, our cousin Dr. Abed Bwanika — who worked tirelessly to prepare our ancestral home for burial and Eva Nantongo who ensured that Mom got all the medications she needed; Douglas Katumba, who opened his home for mom to recuperate; Dr. and Mrs. Jagwe, Dr. Lydia Mpanda, Dr. Ian Clarke, Jeff Ssebuyira, Derreck Kiboneka, Irene Ssewali Bbosa you visited Mom in Nairobi, Moses Kajubi in Nairobi — you opened your home to us and Fred Makumbi–mom was grateful for the flowers you sent every week. The two 24 hour nurses who attended to Mom we thank you Justine and your friend for being there for Mom. Our deepest thanks also go to Jannet Lwanga, Annette in Lowell, the Babumbas and our extended family in Boston–you guys kept the hope, Mr. Ssendege in London, Brenda Namutebi of IBRAND you visited us and brought us home essential foods, Rukshana Namuyimba – NTV you were in hospital with me when Mom passed, Rachel you brought us food in hospital and spent hours with us, Tilda Balinda you stood in the gap, Edward Sekabanja Mom’s Attorney you represented Mom without charging her legal fees, Solomon Jagwe — for all the updates online, the entire UNAA fraternity, Radio Uganda Boston for the community announcements, Karibu restaurant – Boston, Rose Walusimbi – Tamukati, Rahma Ali, Susan Nsibirwa, Robby Muhumuza, John Jagwe, Paul Omara, Evelyn Ndondo, Henry Muwagga, Peace Sseninde, Brenda Kalema Kiberu, Solome Katongole, Bedford Buyungo, Bachu Ismael — thanks for all the print work, Mom’s self help Nansana Development Initiative – Namide, Kassim and Oumaru, our cousin Nyenge David, Martin and William Lukwago, Kasozi Steven, Ruth, Teddy and Winnie, my old Budonian family, Watoto Church, my family on Facebook and a host of other friends and relatives who were always there by our side to encourage us we are eternally grateful. 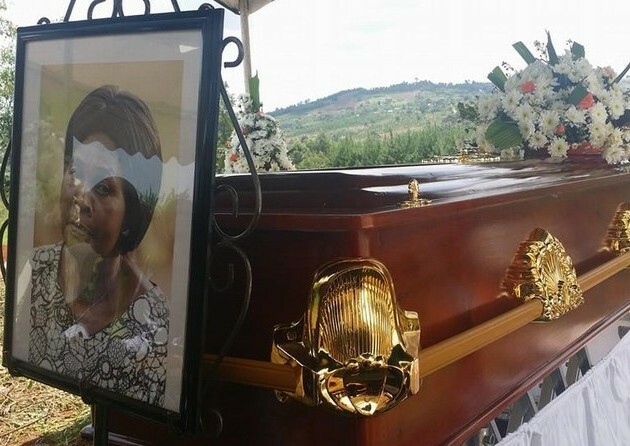 Uganda Funeral Services team led by Mrs. Regina Mukiibi were quite exemplary, going above and beyond for us to ensure that Mom was buried in honor along with Pastors Apostle Alex Mitala, Apostle Bunjo and the pastors from Mom’s church who conducted the funeral and burial services. Mom was laid to rest at our ancestral home in Kyaboggo, Masaka District beside our late Dad Gideon Mayanja on September 11th 2014. She will be dearly missed but we are finally happy that she rested in power. For us this was a celebration of her legacy and we thank the lord for the wisdom, strength and the love Mom brought us throughout the years of her earthly life. Although Mom’s legacy will be a tough one to fill we thank God for his providence the year Mom spent hospitalized and during the funeral arrangements. On behalf of my family we thank you all for being there for us during this tough season. 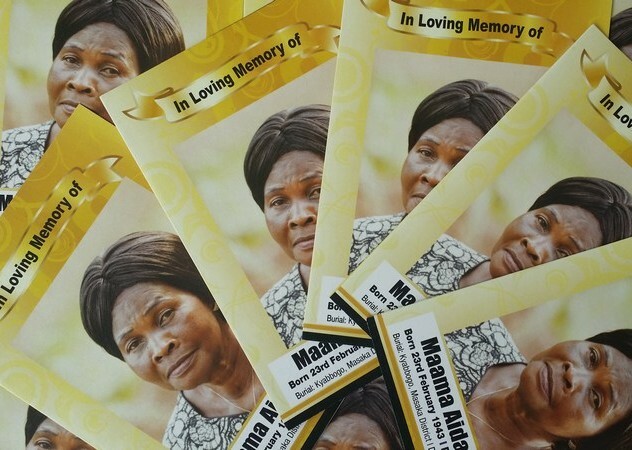 The Late Mrs. Aida Mayanja was the mother of Juliet Mayanja Kamya, Proscovia Mayanja Katumba, Frederick Mayanja, Ronnie Mayanja, Lydia Mayanja Bisaaso, and Joanita Mayanja Ssendege. She was a jajja to 22 grandchildren. 1 Corinthians 15:54-56 — When the perishable has been clothed with the imperishable, and the mortal with immortality, then the saying that is written will come true: “Death has been swallowed up in victory.” 56. “Where, O death, is your victory? Where, O death, is your sting?” The sting of death is sin, and the power of sin is the law. 57 But thanks be to God! He gives us the victory through our Lord Jesus Christ. Mwebale kumusibula mu kitibwa. Mukama amuwumuze mirembe ate namwe abagumye. Thank you for sharing your story so honestly and for allowing us to mourn with you. Your mother was a beautiful, blessed woman who must have found comfort in being surrounded by your love & care…& in the knowledge that she was leaving such a God fearing and powerful legacy in all of you. May her soul rest in eternal peace. She is now with the Lord. We are sorry for loss, Ronnie, but evidently it’s a legacy not in vain. May God rest her soul in eternal peace. We are sorry for your loss, Ronnie, but evidently it’s a legacy not in vain. May God rest her soul in eternal peace.